2016 has been a fairly decent year for cinema so far. I found it to be particularly strong in the independent cinema front or perhaps my taste is learning more towards more unseen releases. Either way I decided to put together a cliché list of my favorite films that I see throughout the year. Below is the first. Marketed as a film about Daniel Radcliffe’s farting corpse, Swiss Army Man gained hype from its first few screenings at Sundance and Cannes. The men behind the flatulent magic are Daniels, directors who created the infamously bizarre music video for DJ Snake and Lil Jon’s Turn Down for What. Swiss Army Man contains some of the elements seen in their previous work (moving body parts), but also solidifies the Daniel duo as an important new voice in independent cinema. The film tells the story of a stranded man on the verge of suicide who finds a friend in the undead corpse of Daniel Radcliffe. The two embark on a journey of fart jokes, love and the challenge the idea of what it means to be human. Swiss Army Man is so well crafted that the insanity of the plot is completely believable and unexpectedly touching. I found myself laughing more at the ridiculousness of the situational humor than I have at any comedy film in a long time. Some sequences are so strange that's it's hard to convince how somebody thought of the images on screen, however the key to the success of these scenes is that they are never boring and provide a well throughout commentary on social taboos. Daniels expertly combines these taboos with the profound to create one the most unique cinematic experiences I have ever head. Each moment of poignancy is punctuated by something hilarious. Swiss Army Man spends most of its time throwing ideas at the wall and having almost 100% of them stick. I soaked up the film with a huge smile on my face and was sad to see the end credits. I felt as though I was leaving two good friends behind and that’s a pretty incredible emotion for a film to provoke. Technically, Swiss Army Man is brilliant down to the minute details. The cinematography takes its time to indulge in the beauty of the forest, but also moves rapidly through each of the imaginary scenarios to put the viewer in the minds of the two characters. This is combined with extremely clever editing that makes me want to see the film a few more time to make sure I didn’t miss anything in the details. It’s also hard to walk away from Swiss Army Man without being enchanted by the soundtrack. Dano and Radcliffe both feature prominently in each of the meta songs and add a genuine sense of intimacy. My friends and I couldn’t help but listen to the soundtrack as soon as we got in the car to drive home and I’ve had to on repeat ever since. Swiss Army Man also delves into fascinating ideas about mental illness, social anxieties and the complexities of being human. None of these concepts are shoehorned in, each is earned with brilliant performances and intense build up. Paul Dano and Daniel Radcliffe are both heartbreaking and grounded, with Radcliffe stealing the show as the dead best friend. If it were my choice, I'd give Radcliffe an Oscar nomination for his portrayal. Swiss Army Man is a pretty incredible debut from the Daniels. He is very much a product of the now. He uses death and humor to deal with absurdity of modern human interaction and speaks to something that is deep inside anyone who has ever felt socially awkward or out of place. It takes a real master to tackle themes this confidently and completely succeed in all facets. If there is any movie you seek out this year, please let it be Swiss Army Man. Okay, buddy? Just last week the first news was announced about a possible True Detective: Season 3… and it wasn’t great. According to most sources, HBO denied a possibility of a third season due to the mixed audience and critic response to the sprawling second season. However, creator Nic Pizzolatto later went on to confirm that True Detective: Season 3 will happen and that its actually renewed until 2018. One of the most common questions I get asked when I meet other college filmmakers is; how do I get a film into a film festival? Often most filmmakers have had experience making short films, yet none have been shown or found the resources to get those films into the public eye. Now obviously getting into a film festival is only important if you want it to be and in my mind, you shouldn’t make films that seek the validation of others. There are plenty of other online options in terms of getting your film seen, however the great thing about festivals is that there is a chance to possibly win awards (and money to fund your next project) and gain real time audience feedback. 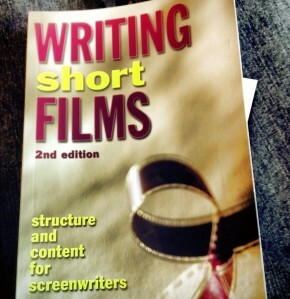 These things will help you grow as a filmmaker and that in of itself is invaluable. 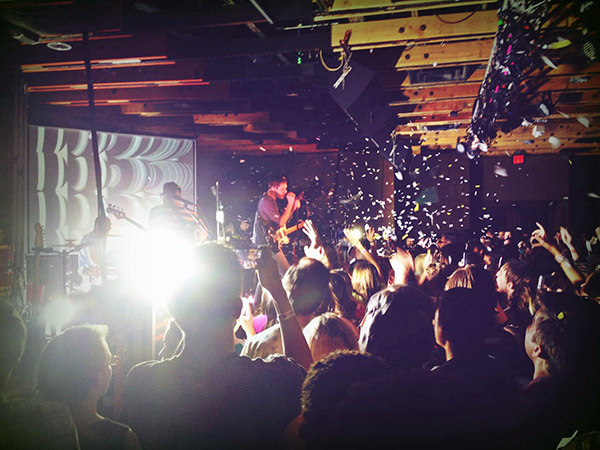 Back in 2015, I had pleasure of seeing indie-rock band OK GO live at the Crescent Ballroom in downtown Phoenix. It was my first live concert in the USA and to say that it was thoroughly awesome, is an understatement.